Gents come home with a win after tour in England! 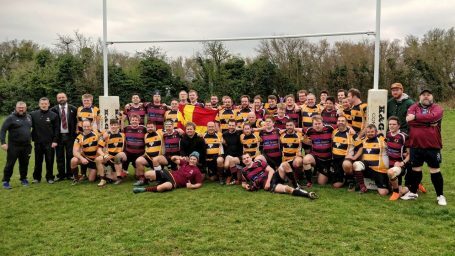 Last weekend the men’s team, as part of the pre-season warm ups, flew to the UK to take on Hungerford Rugby Club. Mens coach Ali was joined on the side-line by Andy Widdop, long term friend and former team mate of mens coach Stuart who lead the boys through the warm up. The boys showed their intention by scoring in the first 30 seconds. With a Lions kick-off, the initial catch was spilled as Ale Loman started his man of the match performance by flooring the catcher. The ball was quickly recycled and put out to the wing to put Tim Aikenhead into the corner. Tim, who flew in from the US, was one of four ex-lions to come and join the tour with Matt Foster joining the team from Germany along with Chris Wells and Ed Persson who are now back in the UK. From that point on the boys never went behind, though it would be a back and forward affair until the last quarter of the match. The new style of play from the winter in conjunction with the back plays from last season saw Ale score four tries, three out wide linking with the backs and along with Viktor Cordes two tries came from forward plays. The boys pulled away towards the end of the match eventually winning 24 – 36. Hungerford RC were great hosts and the lads celebrating in Lugi style into the night. 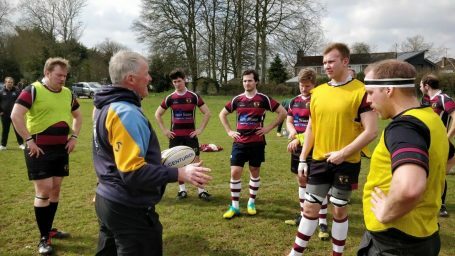 A number of players stood out on tour, with Stuart giving feedback at Mondays training from other former team mates of his who were also on the side-line. Most notably a number of teams including a National Division 1 side in England have expressed an interest in Ale joining them next season. We look forward to seeing how this will progress. 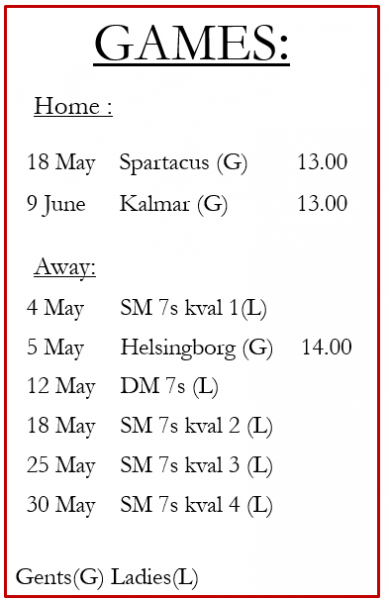 Next match for the men’s team is another pre season warm up this time playing rugby league at home against the Skane Stag at Centrala Saturday the 13th of April, kick-off at 14.00. This entry was posted in Men's Team, News on April 9, 2019 by Lisa.